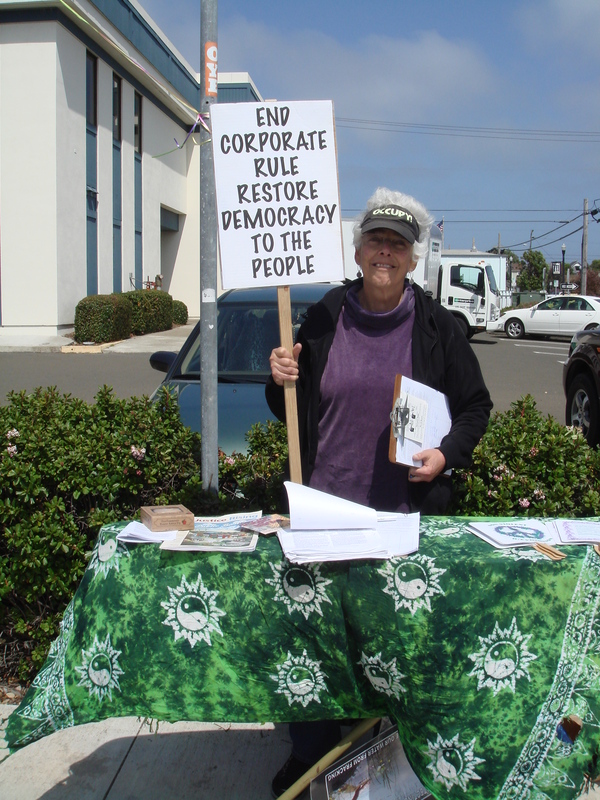 Members of Occupy Mendocino Coast gather in Fort Bragg every Friday from 3:00-5:00pm to wave signs in protest of corporate greed. These dedicated souls stand at the corner of Main and Laurel Streets, encouraged by occasional honks from passing cars. 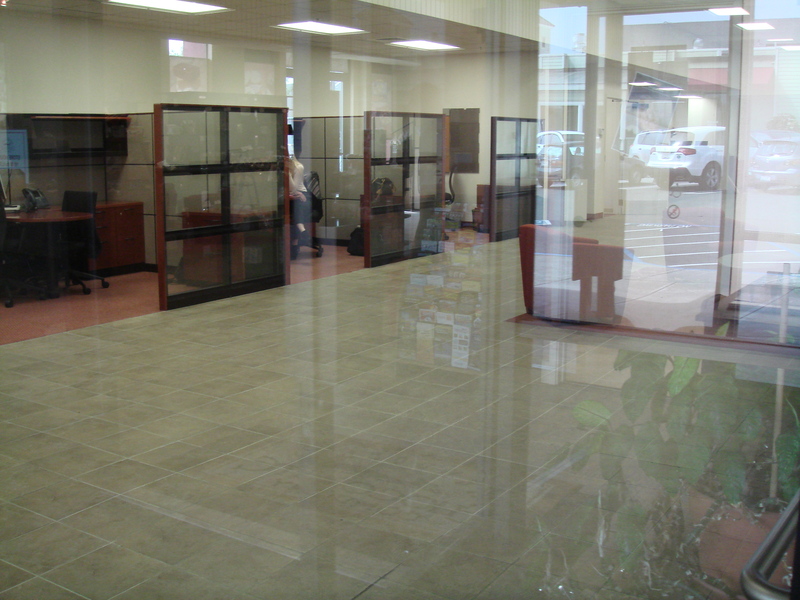 On Friday May 30th, they celebrated a milestone—the closing of the Fort Bragg branch of Bank of America. It’d been a long time since I had pie and even longer since I hung out with a bunch of hippies. How could I resist? 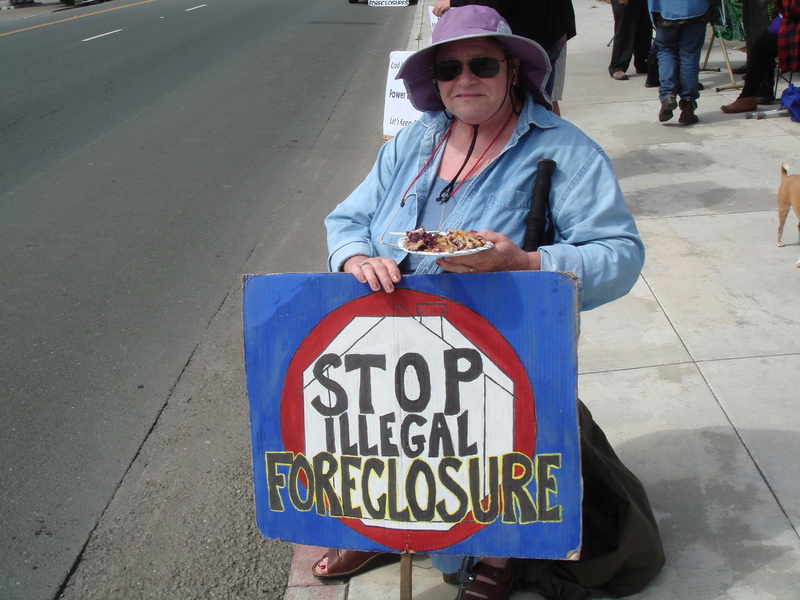 I arrived in the middle of a festive atmosphere, as protesters—like ladies at a church social—carried a variety of pies to card tables, exchanged light banter, displayed literature on an ironing board, picked up signs, and waved to honking cars—all amid the backdrop of a moving van parked beside the doors of Bank of America. The hippies were a welcoming bunch and everyone I asked let me take their picture without questioning my intent. One woman allowed a photo as long as I swore I wasn’t from the CIA. 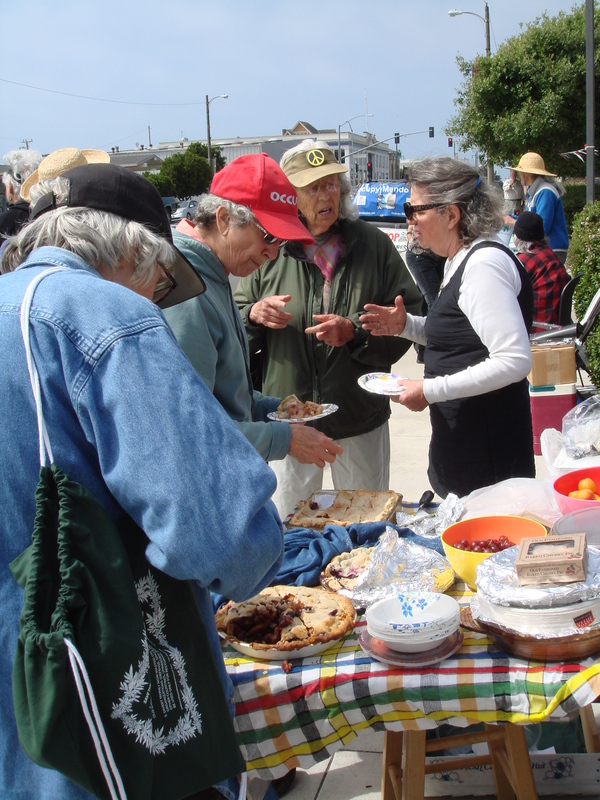 One woman wore a cute skirt with peace symbols stamped on it. I asked where she got it and she proudly said she’d made it. 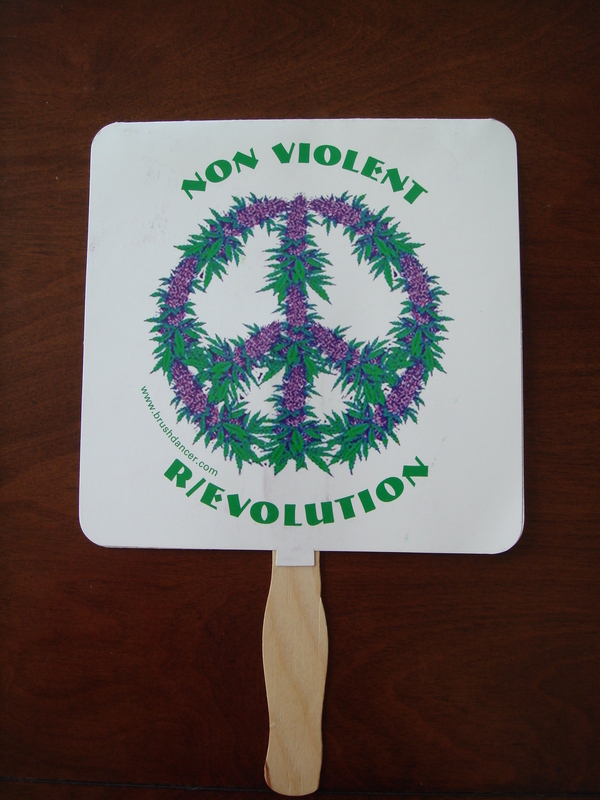 She said she was running for State Assembly and encouraged me to take one of her home-made campaign fans. 1. 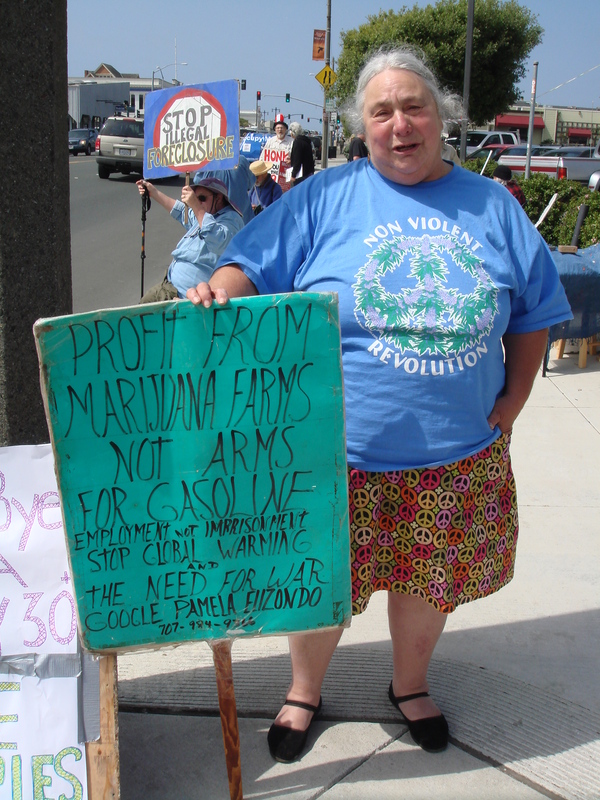 Legalize marijuana, grow everywhere for all it’s uses [gasoline, non-toxic biodegradable plastic wrap for food, hydro & nuclear energy, parents for baby trees, clean air, food, water, failing economy & environment. 2. Charge one cent state, federal, county tax every dollar transaction instead of current form to increase tax base. 3. Governments should buy what they want through private business rather than waste taxpayer’s war dollars stealing it. 4. Give business & landowners tax deductions, exemptions only for a portion money spent researching & employing people restoring our earth. 5. Divert money now wasted on taxpayer’s non-profit organizations [defense, space research, charity to other countries, unneeded building], to grants to be used only for restoring earth & Inhabitants. During my half hour spent with the protesters, no one claimed that the group was the catalyst for the closure of the BofA branch. However, their presence over the past few years has certainly highlighted the nasty practices of multinational financial institutions and encouraged people to take their business to locally-run banks. The flip side of the giddiness on that Friday afternoon is the economic blow to the half dozen people who will be added to the ranks of our town’s unemployed. The loss of this branch also creates anxiety and sadness among the older members of our community who were forced to change banks. I know people in their eighties who have had accounts with Bank of America for 70 years. They were overwhelmed by the process of moving their accounts. My older friends remember a banking system far different from what it is today. They don’t do ATM’s or on-line. They do face-to-face. A trip to the bank is considered a social outing. They write checks for petty cash and keep valuables in safe deposit boxes. Of course, they can still do this, but now they must adjust to the system of a different bank. Oh well. Times change. What’re ya gonna do? I’m going to have another piece of pie. 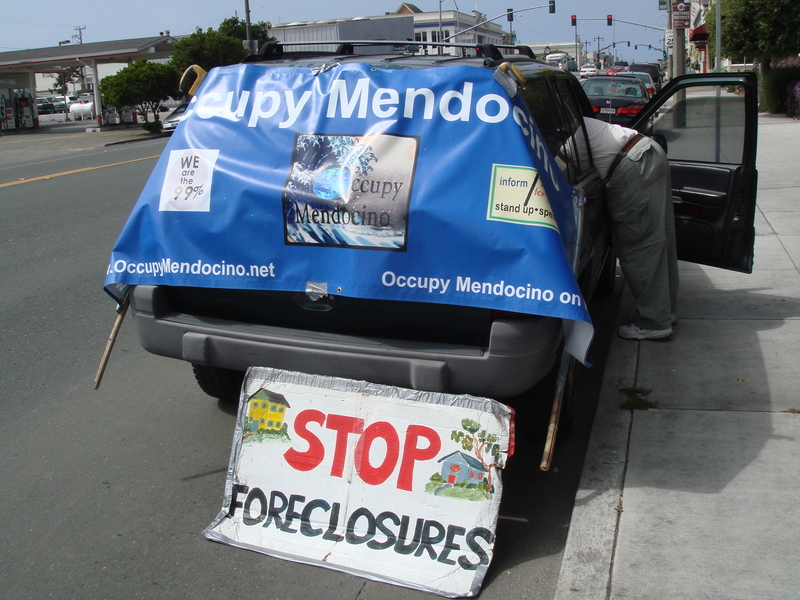 This entry was posted in California, Fort Bragg California, Humor, Mendocino County, Northern California, Small Town and tagged Bank of America, Occupy Mendocino Coast, Occupy Movement, Pie by Kate. Bookmark the permalink. Got me tappin’ my toes. Such a great song, isn’t it? Life keeps moving on, but we can sometimes sit on the sidelines and have another cup of coffee, another piece of pie.